Producing a piece from the Wilde Sunglasses collection requires several factors; quality materials, technique, time, and skilled craftsmanship is essential for achieving the desired result. bailing romance with music and rhythms. 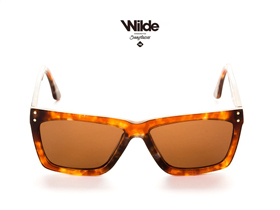 Wilde Sunglasses are bailing romance with music and rhythms. An incredible journey after artists concerts who interprate melodies in conjunction with their lenses. Find Us in Our social networks.